I, uh, had a black cat walk over a broken mirror under the lunar module ladder, didn't seem to be a problem. © CSI: New York - Courtesy of CBS Broadcasting Inc. He was so damn nice to me for pulling him out, he forgot I told him to jump in. © 1992 METRO-GOLDWYN-MAYER STUDIOS INC. I thought I’d try out my sea legs. When the press quit crucifying me, I'll know I've been in this business too long. And what I'm doin' here tonight, I'm finally turnin' to y’all, and I'm askin' you, whether you will or not, I'm askin' you to forgive me. © 1997-2015 Turner Network Television. A Time Warner Co. All Rights Reserved. You're gonna have to ask yourself- Is today Jimmy Shaker day? Order Now! And be sure to check out Gary's booksigning tour dates all across America. 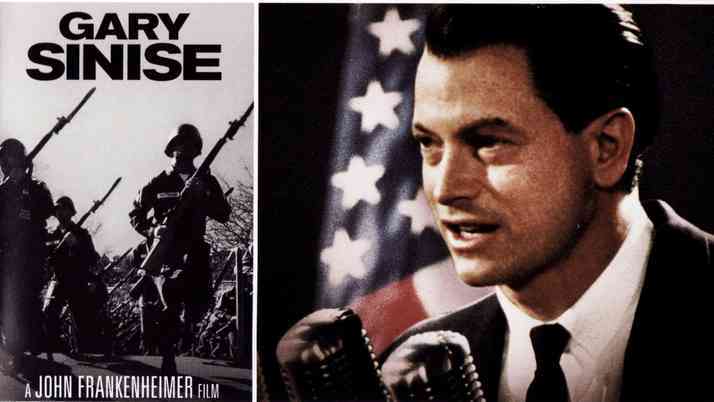 As a kid in suburban Chicago, Gary Sinise was more interested in sports and rock-n-roll than reading or schoolwork. But when he impulsively auditioned for a school production of “West Side Story,” he found his purpose--or so it seemed. Within a few years Gary and a handful of friends created what became one of the most exciting and important new theater companies in America. From its home in a church basement in Highland Park, Illinois, the Steppenwolf Theatre launched a series of groundbreaking productions, igniting Gary’s career along with those of John Malkovich, Joan Allen, Gary Cole, Laurie Metcalf, Dennis Farina, John Mahoney, and others. Television and film came calling soon after, and Gary starred in Of Mice and Men (which he directed) and The Stand before taking the role that would change his life in unforeseeable ways: Lieutenant Dan in the Academy Award-winning Forrest Gump. The military community’s embrace of the character of the disabled veteran was matched only by the depth of Gary’s realization that America’s defenders had not received all the honor, respect, and gratitude their sacrifices deserve. In the aftermath of the September 11 attacks, this became Gary’s mission. While starring in hits like Apollo 13, Ransom, Truman, George Wallace, CSI: NY,_ and _Criminal Minds: Beyond Borders, Gary has worked tirelessly on behalf of those who serve this country, entertaining more than a half million troops around the world playing bass guitar with his Lieutenant Dan Band, raising funds on behalf of veterans, and eventually founding the Gary Sinise Foundation with a mission to serve and honor America’s defenders, veterans, first responders, their families, and those in need. The filmmakers who have done such a wonderful job documenting events for my foundation have also done a fine job with this new documentary. It examines some of the early seeds that were planted for the military and veterans support mission that I am on, seeds that manifested into the creation of the Gary Sinise Foundation. Family history, Steppenwolf Theatre, LT Dan Band and veterans who have inspired me are given a look in this film and it is now available on the Gary Sinise Foundation website. All proceeds go to supporting our mission. Take a look. Summary from Amazon: "In 1974, a group of determined, young high school actors started doing plays under the name of Steppenwolf Theatre Company, eventually taking residence in the basement of a church in Highland Park, a suburb of Chicago. Thus began their unlikely journey to become one of the most prominent theatre companies in the world. This is the first book to chronicle this iconic theatre company, offering an account of its early years and development, its work, and the methodologies that have made it one of the most influential ensemble theatres today." Take a look at our latest blog post of last April's Soaring Valor trip to the National WWII Museum and view our new video. With our fifth anniversary upon us, it's important that you know how much I appreciate you. Your generosity, kindness, and enthusiasm inspire me every day. Remembering our heroes this ‪‎Memorial Day‬ Weekend. We will not forget. It is my privilege to welcome you to my official website. I've been blessed with good fortune in both my career and life. I know this is thanks in no small part to the enthusiasm and support of friends like you. 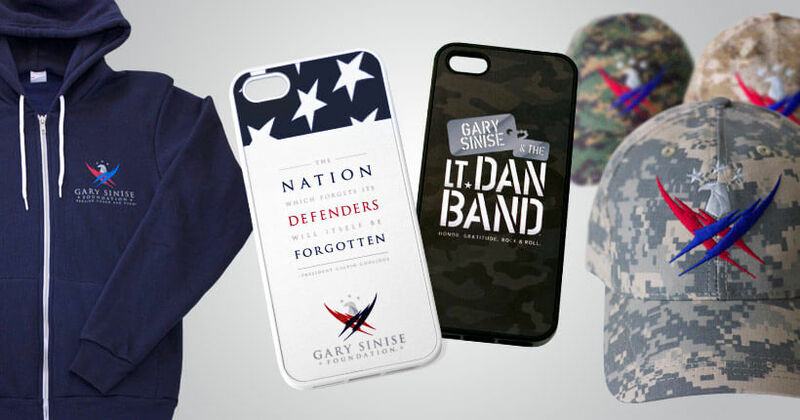 I hope you enjoy GarySinise.com and will keep in touch on Facebook, Twitter and Instagram. As always, from the bottom of my heart, thank you and God bless. 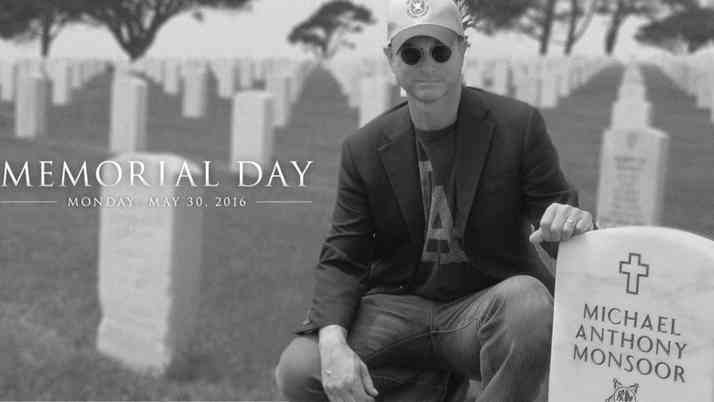 Every day, the Gary Sinise Foundation is serving America’s defenders, veterans, first reponders, their families and those in need. 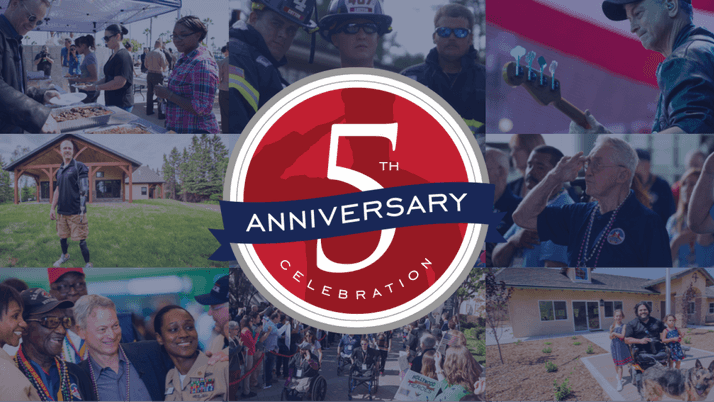 Whether building Smart Homes for wounded veterans, hosting day-long festivals at military medical bases, or serving meals to deploying troops, the Foundation is showing gratitude to our nation’s heroes. Show your support today with branded t-shirts, sweatshirts, hats and more. Proceeds from all merchandise sales will help continue the Foundation’s important work.